REQUIRES 2" BALL - 4PRONG FLAT FOR LIGHTS 42"MIN.WIDTH 76"MAX. VEHICLE WIDTH. FITS STANDARD 15" TIRES - TOW DOLLIES ARE EQUIPPED WITH RECOVERY WINCH TO HELP LOAD VEHICLE - NO FULL SIZE VANS, PICKUPS, SUV'S. 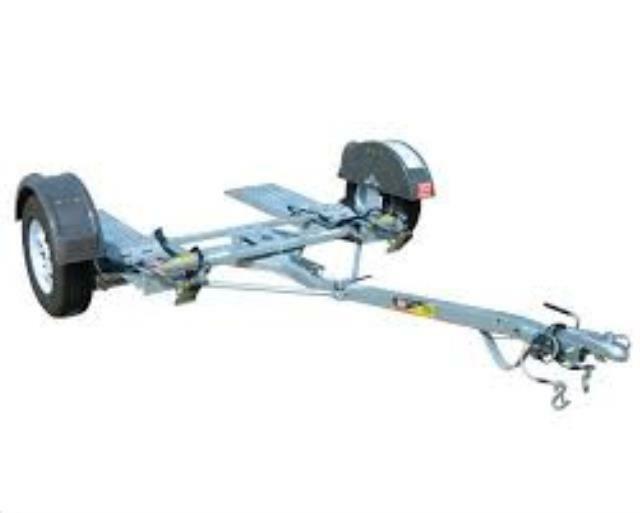 * Please call us with any questions about our tow dolly extra wide w/ winch rentals in South St. Paul MN metro area.